Spring, Texas residents have access to a wide range of live music and performance venues where they can enjoy everything from opera to indie music. Venues can be found both locally and in nearby Houston. Catching a live performance is a great way to spend an evening with those who share your passion for music and the arts. Those who want to make the most of their concert experience can book with MK Limo to ensure the ultimate luxury night of entertainment and fun for themselves and their companions. It is a special opportunity to be able to attend a live performance of your favorite musical, Broadway play, artist, or orchestra. Celebrate the occasion by planning for a fun, stress-free night of entertainment and luxury. MK Limo offers a first class concert limo service to Spring, Texas residents who wish to make the night a memorable event. Our limousines ensure you make a red carpet entrance to your concert. With lavish vehicles and exceptional service, making your way to the concert will be an experience in itself. MK Limo can provide transportation to and from any concert or performance venue within Spring, TX or nearby Houston. Whether you are attending a show at The Cynthia Woods Mitchell Pavilion, or one of the performance halls in the Houston Theater District, we can ensure you arrive on time and in style. Our vehicles are the ideal transportation for all occasions. 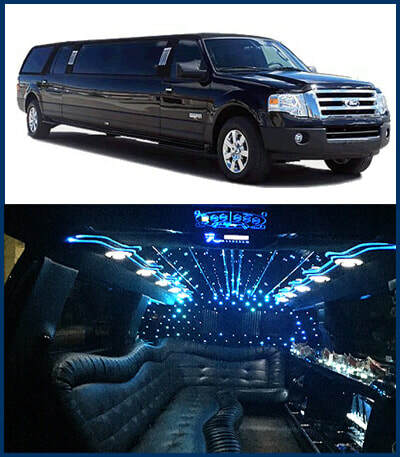 With a range of vehicles to meet your passenger capacity, budgetary, and aesthetic needs, we undoubtedly have the perfect limo or party bus for you. Your transportation can reflect the class and sophistication of an orchestra performance, or the boldness of a rock concert. ​We specialize in providing private luxury transportation for Spring, Texas residents and visitors. MK Limo has built our name on impeccable service and top quality vehicles. When you book with us, you can be assured of an unparalleled VIP experience. Our passengers enjoy unsurpassed amenities, attentive care, and personalized service. We truly strive to deliver the full package to our customers. 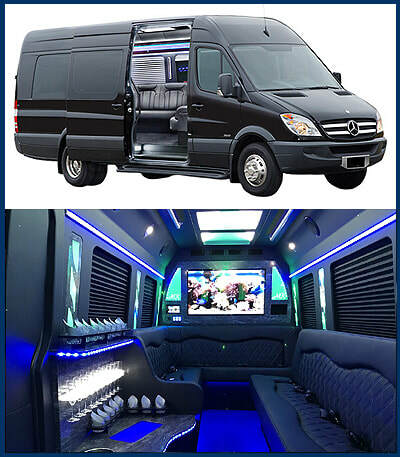 Reliable, convenient, safe, and luxurious, there is no better transportation option for concert goers who want to feel like celebrities for a night. Book your limo in advance and enjoy a unique and thrilling concert experience unlike any other. ​Music and theater offer entertainment, relaxation, mental stimulation, and so much more. When you are granted the rare opportunity to attend a live performance in or around Spring, TX, it is a cause for excitement and celebration. Make it a special occasion to be shared with your friends and family. MK Limo gives you access to the rock star lifestyle for an evening with top quality service and luxury transportation that will deliver you from your home or hotel straight to the doors of your concert venue. Enjoy some attention and celebrity for yourself before partaking in an exhilarating evening of music or arts.